I love this movie so much, and I had been fascinated by the TV edit for as long as I had it recorded on a VHS. A little over a year ago I saw a local airing with the alternate TV footage, haphazardly inserted. I thought to myself "I could definitely do this better," and started working on it. 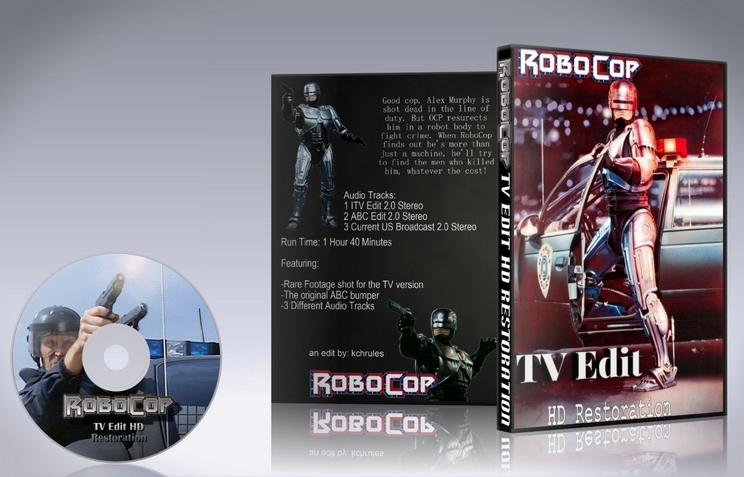 Please note that although I used the 4k Blu Ray as the main source, the alternate TV footage came from a handful of different sources, analog and digital. Due to the age of some of the video and audio used for the TV footage (some coming from upscaled 480i broadcasts or even a 30+ yr old VHS), video quality (and audio on track 2) is not 100% HD throughout. While the movie's frame rate is technically 25fps, much of the alternate footage was 29.97fps. So even though the MKV runs 29.97 fps, the bulk of the movie is 25fps just with repeated frames. 2) ABC US Broacast -The ABC edit is slightly different and features different takes of some of the lines so they are inserted. Audio that overlapped from this and ITV uses ITV audio since it's better quality. 3) Current US Broadcast - Virtually Identical to ITV, but every instance of "freaking" has been removed, as well as the music under Murphy's death. While the audio was based heavily on the ITV version, the video was based more on the ABC version, since it has more creative visual edits. There are many TV edits of this film, so it's kind of a mish mash of different versions, that uses as much alternate footage as possible. Video and audio were edited separately. Many language cuts were made by muting the middle audio channel that had the dialogue. Sometimes edits had to be edited for the movie's environment, like Ron Miller yelling "Don't mess with me" out the window of town hall. 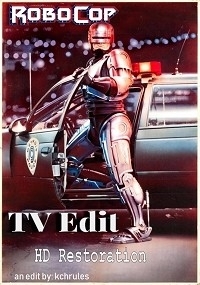 Over the years RoboCop has undergone many color corrections. Some of the TV edits reflect this, many modern TV versions have a blue tint and the alternate footage has a slapdash blue filter. The 4k blu ray is the closest to the original color, so some footage had to be color corrected to match. Sometimes frame by frame. There were also television station logos on some of the footage that had to be either matted or cropped out. Old footage from VHS and Laserdisc had overscan on the edges, so they had to be cropped on all sides slightly. I had to re-edit the movie's score in some places because there were so many cuts in a row (such as the factory shoot out). Foley was also used in some places where music was replaced, TV footage often used the on set audio, so sound effects had to be added.